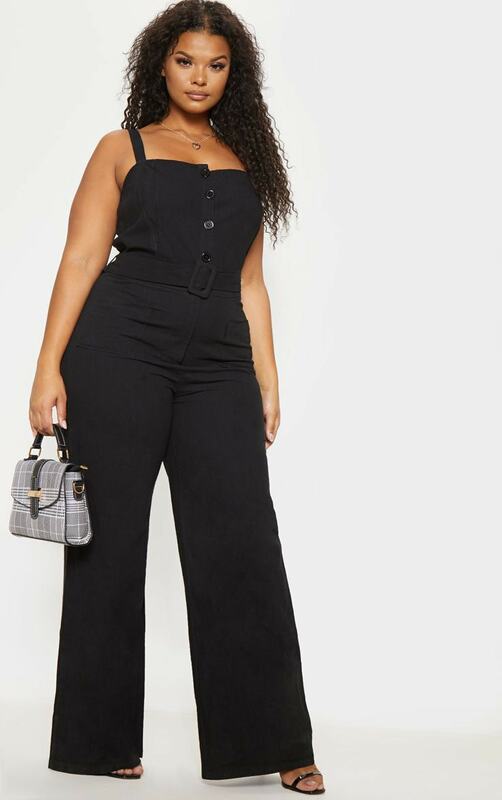 Less is more sometimes doll and we're loving this simple jumpsuit. 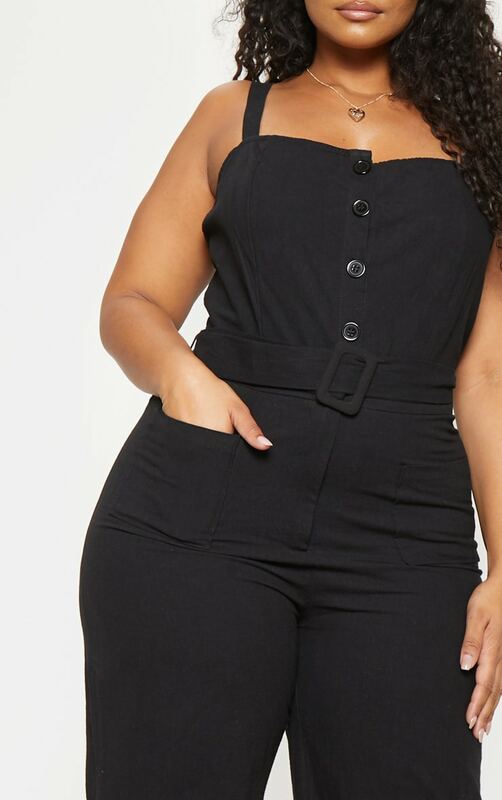 Featuring a black woven material with a button up front and belted waistline, we are obsessed. 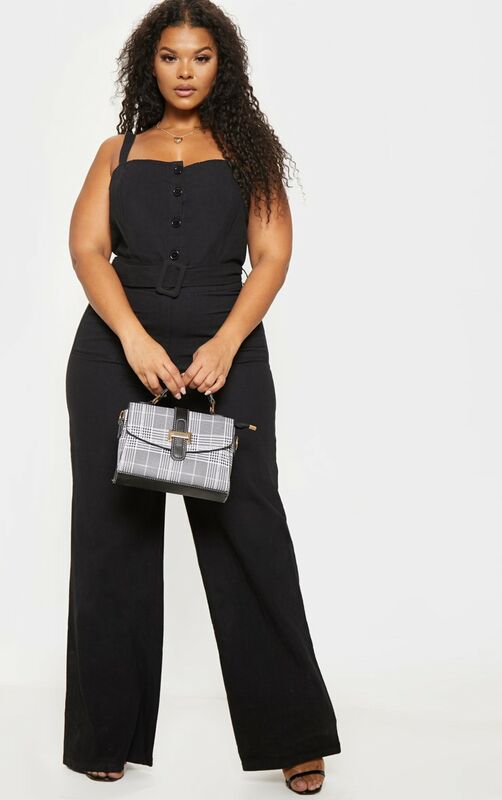 We love this teamed with a mini handbag and black strappy heels for an understated style.